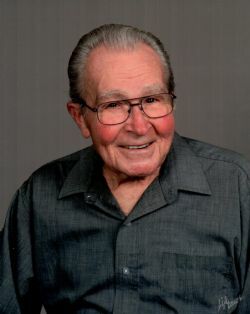 George William Brooks, 84 of Greenville, died Friday, February 1, 2019 at his residence. His funeral service will be 2:00 PM, Tuesday, February 5, 2019 at Coker-Mathews Funeral Home Chapel with Dr. Kelly Carr officiating. Interment will follow in Shady Grove Cemetery. Visitation will be Monday, 6:00 PM to 8:00 PM at the funeral home. Mr. Brooks was born October 19, 1934 in Galveston, Texas. He was to son of George William Schmidt and Lola Fay Bowen. He married Bonnie Christopher on April 13, 1957 in Houston. He was a member of Highland Terrace Baptist Church and was retired from Lance, Inc. Survivors include his son, Howard and wife Kathy; brother, Bobby Brooks and wife Linda; sister, Luanne Goin and husband Carl; grandchildren, Jennifer Crossley, and Sara Slinkard and husband Joshua; great-grandchildren, Cade Crossley, Grant Phillips and Harley Phillips; and several nieces and nephews. He was preceded in death by his parents, step-dad, Raymond Brooks and wife, Bonnie Brooks. Pallbearers will be Aaron Brooks, Josh Slinkard, Tim Stevens, Tracy Fleshner, Clay Stevens and Jimmy Vaughn.